3670 Maria Theresa Ave., West Palm Beach FL 33406-6523. Henry James "Jim" Knoch, 78 years old of West Palm Beach, FL, passed away on Sunday, October 8, 2017. He was born on June 16, 1939, in Akron, OH, to Barbara and Henry Knoch. 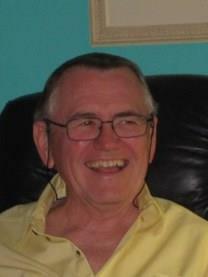 Jim was a wonderful and loving husband, father, brother, grandfather, uncle and friend. He proudly served his country in the US Airforce. He was an F4 Phantom Fighter Pilot, and also earned his Distinguished Flying Cross and Purple Heart, as well as many other air medals. After his military service, he worked as a commercial pilot for Pan American Airways, and retired from Delta Airlines. Jim is survived by his loving wife of 55 years, Sandra; daughters, Christy Cavanaugh (Patrick), Karen Knoch, Kim Knoch (Pam Garmon); granddaughters, Carlin Fritz (Michael) and Bailey Cavanaugh; sister, Sharon Bouyoucas. Services will be held at Arlington National Cemetery at a later date. Memorial Donations in Jim's honor may be made to the Michael J. Fox Foundation for Parkinson's Research, ( www.michaeljfox.org ).